Crimesider gives a look at the highlights of the Amanda Knox case. November 2, 2007 - British student Meredith Kercher's body is discovered in the apartment she shared with American student Amanda Knox in Perugia, Italy. Kercher was found semi-naked in a pool of blood; her throat had been slit. 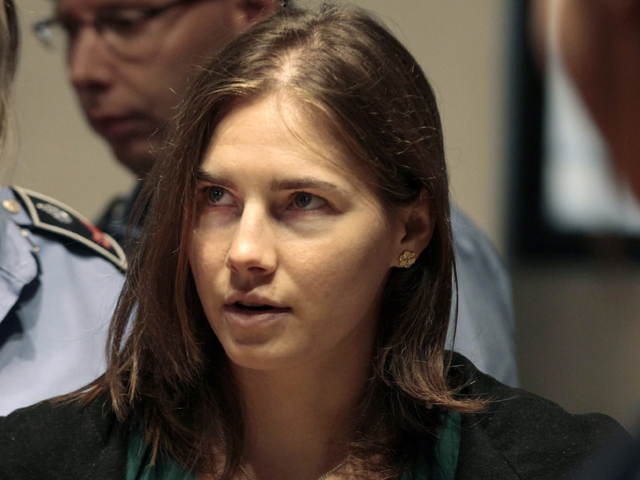 Nov 6, 2007 - Italian police question Knox, Knox's former Italian boyfriend Raffaele Sollecito and bar owner Patrick Diya Lumumba in connection to Kercher's death. November 19, 2007 - Police name Rudy Hermann Guede as fourth suspect and arrest him the following day in Mainz, Germany. Meanwhile, Lumumba is released without charge from a prison in Rome. April 1, 2008 - A defense appeal to have Knox, Sollecito and Guede released from prison is denied. The three suspects are told they will stay behind bars until they are charged or released. The judges rule that they can be held for up to a year while the case is investigated. October 28, 2008 - Guede is sentenced to 30 years in prison for his part in Kercher's murder, but after a 2009 appeal the sentence is reduced to 16. Judge Paolo Micheli also orders Knox and her Italian boyfriend Raffaele Sollecito to stand trial on murder charges. January 16, 2009 - Trial of Knox and Sollecito begins. December 5, 2009 - Knox is sentenced to 26 years in prison and her ex-boyfriend is sentenced to 25 years after the pair is convicted of murdering Meredith Kercher during a drunken sexual assault. Lawyers for Knox and Sollecito announce they will appeal the sentences and Knox's family calls the guilty verdict a "failure of the Italian judicial system." November 8, 2010 - Knox is ordered to stand trial for slandering police officers during the murder investigation, after accusing them of beating her. The trail, separate from her murder trial, began in May 2011 and was adjourned until Nov. 15, 2011. November 24, 2010 - Knox and Sollecito's appeal begins and is adjourned. It resumes on December 11. December 16, 2010 - Guede's conviction is confirmed by Italy's highest appeals court. June 29, 2011 - Independent forensic report discredits police evidence used to help convict Knox. The report claimed that key DNA evidence was unreliable or contaminated. July 25, 2011 - Two court-appointed experts, Carla Vecchiotti and Stefano Conti, testify at an appeal hearing that a knife thought to have been used to kill Kercher carried no trace of blood but may have been contaminated with other DNA traces. September 23, 2011 - Prosecutors display grisly crime scene photos. September 24, 2011 - Prosecutors ask the court to keep Knox and Sollecito behind bars for life. September 26, 2011 - Patrick Lumumba's lawyer Carlo Pacelli tells the appeals court that Knox's lies destroyed his reputation and calls Knox a "she-devil." Knox had accused Lumumba of killing Kercher during initial questioning, but later claimed she had been under pressure from police.